Jun Qian's Clarinet Website | 2015 Baylor Clarinet Choir and Chamber Music festival!! 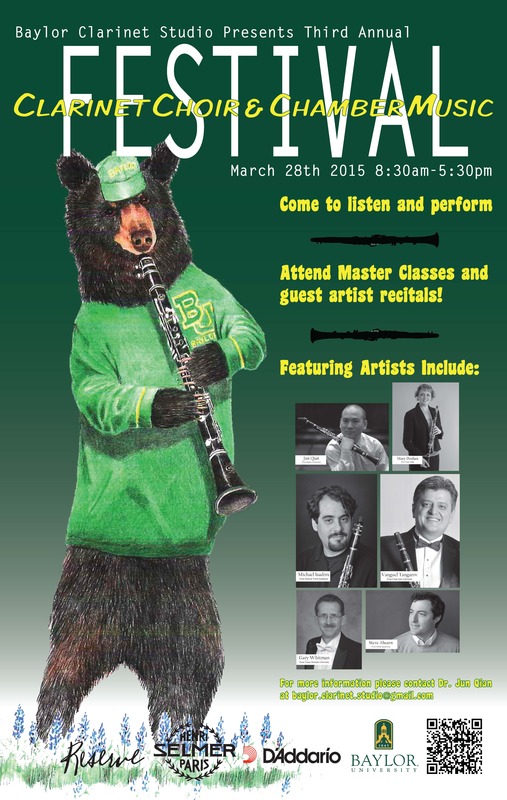 2015 Baylor Clarinet Choir and Chamber Music festival!! Please click on this Facebook sign for the latest update! This event is for everyone! From 8 to 80 years old! All day event! 5) Attend guest artist recital. Sponsored by Baylor University, D’Addario, Selmer, and M&D Music Co.! !